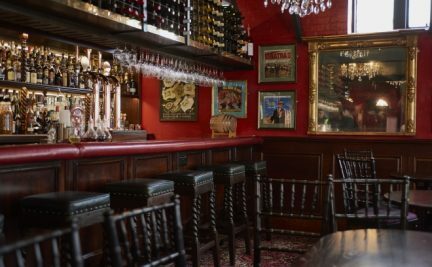 Have you been to Boisdale’s in Mayfair? The latest outpost of the Scottish themed restaurant Boisdale has arrived in Mayfair situated in converted stables at the top of North Row just off Park Lane. Decorated in characteristic red walls and rich mahogany paneling, with a diverse collection of artwork. Ranald MacDonald’s Boisdale Restaurants are well known for their hearty Scottish food and nightly jazz and blues performances. There are two bars, the first being The Stable Bar serving a selection of draft beers and craft ales along with an extensive wine list and good quality rare malt whiskies. The second on the lower floor is The Old Fashioned Bar which is devoted to cocktails from the 1920’s & 1930’s. Now on to the food unlike the other 3 Boisdale Restaurants in Belgravia, Bishops Gate & Canary Wharf. The Boisdale, Mayfair is opened every day to serve a Great British Breakfast an excellent way to start your day off! For lunch and dinner there is a A La Carte menu including Scottish game, Aberdeenshire steaks, superb fresh fish, Hebridean shellfish, Sottish langoustines, award winning burgers.